I recall that the numbness decreased over time, and it that after 2 months I could still feel it. I do not recall ever saying that it had gone away completely. 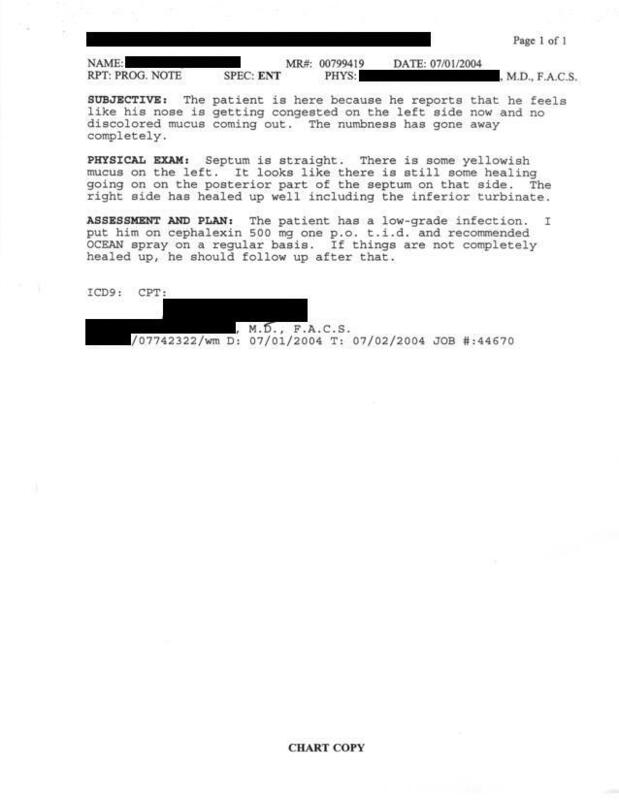 I don't know why the doctor would say this in the medical report. This is the first false statement in the medical report, I believe.